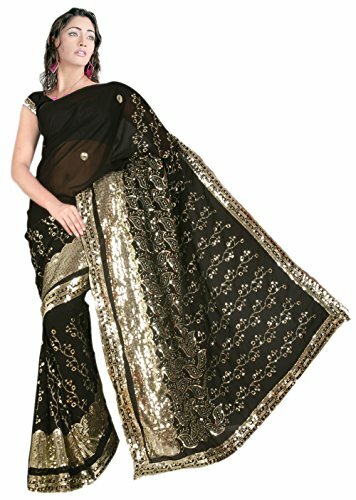 This Exclusive Partywear Bollywood Sari/Saree gives a fashionable look, High sensed style and luxury makes you in a position for resentful glazes and very wealthy & Royal within the Party,Serve as,Event and the like. Blouse Size : Unstitich Fabric – Length : 1 Yard (Approx), Width : 44″ (Approx.) – Unstitched blouse fabric comes with saree so you’ll be able to make as you like. Blouses / Cholis/ Suits With Elaborate Patterns And Colors Are Used For Photo-Shoot Only. Pattern Of Blouse Would possibly Now not Be As Shown In The Image.